Do you frequently enter similar kind of Journals in which the Chartfield combinations mostly remain the same? If that sounds like you, SpeedType can help you key in the transaction faster. 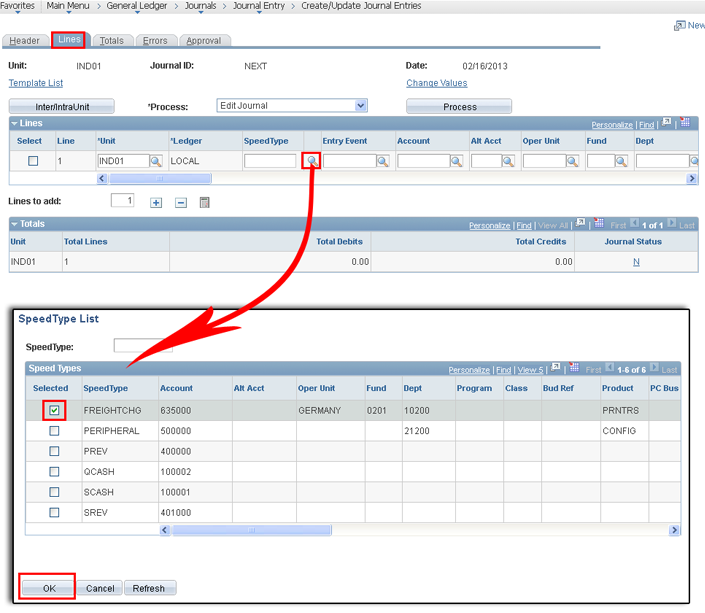 SpeedType is a PeopleSoft feature that you can use to quickly enter data into the journal line page. This post explains how you can easily set up and start using this cool feature. 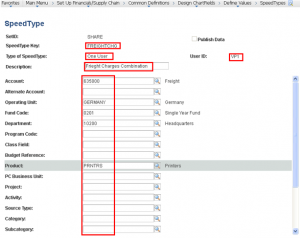 Suppose you are entering transactions repeatedly for accounting fright charges and whenever this Account is used, you also use a particular value for Department ID, Operating Unit, Product ID and/or other Chartfields. 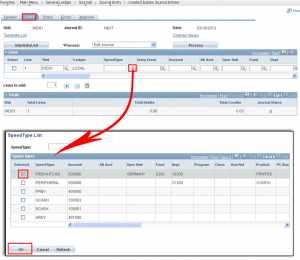 In this case, you can set up a SpeedType not just to enter the transactions efficiently but also to limit errors while manually entering different chartfield combinations. While setting up the SpeedType, you can restrict the access of the speedtype key to either a single user or a single permission list or to all users. 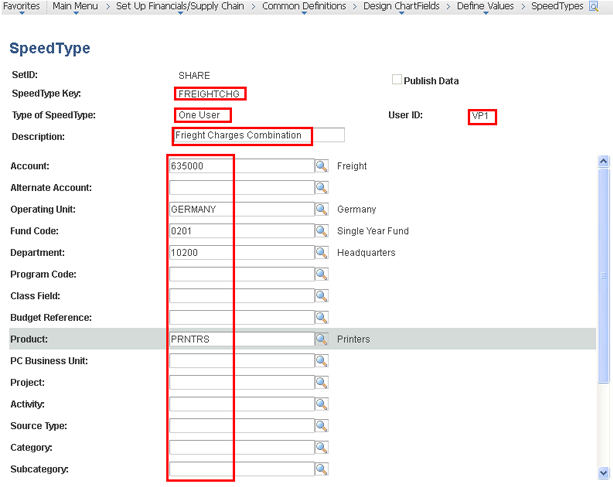 In the below screenshot, speedtype key FREIGHTCHG is restricted to a single user VP1. 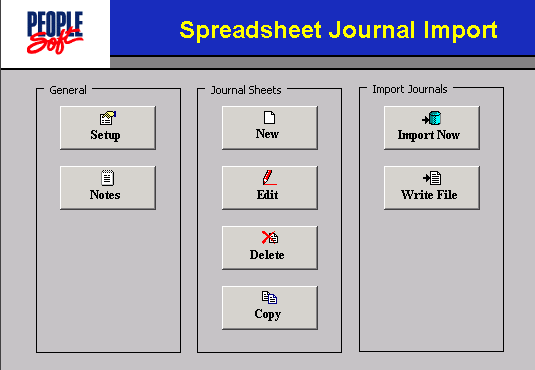 After setting up the speedtype key, the authorized users can log into the PeopleSoft system and create the Journal by using speedtype in the following manner. Thanks.. this is useful info.